I argued recently that the job of the wine critic is to help readers appreciate a wine by communicating the properties and appropriate responses to those properties that a wine makes available, as well as reasons for why those responses are appropriate. The critic’s aim is not just to describe the wine but to enable the reader to understand that these properties are worthy of their attention and invite a response, whether positive or negative. Given this definition of wine criticism, a good critic must possess several abilities. She first of all must be articulate, getting readers to grasp without too much difficulty what kinds of appropriate responses one can have to a wine as well as the reasons for those responses if they aren’t clear. Thus, she must also be a good judge of what her readers need to know. Conveying one’s admiration for a wine or some feature of the wine isn’t sufficient. The reader may need to know what the reasons for admiring it are. She may need to be persuaded that a fact obtains or that it is a reason to judge the wine favorably so she can see that for herself. Thus, a good critic must be a good judge of how to communicate what the reader needs to know—choosing words not only to inform but to guide the reader’s perceptions. Of course in order to accomplish all of this, the critic must be more knowledgeable and more perceptive than her readers. If the job of the critic is to aid appreciation, she must provide a perspective that the reader couldn’t easily acquire on her own. Being more knowledgeable makes the critic at least potentially more aware of what the reader is unlikely to know, although this requires some empathy on the part of the critic. Relating to the reader how a wine is made can make her aware of why a particular wine is a dramatic departure from how things are normally done. The fact that a wine violates a norm is a reason to take an interest in it. These are the kinds of facts that a critic must be able to provide the reader. All this is in addition to the need for the critic to be aware of features of a wine that readers are likely to miss, especially as it compares to other wines of its type. 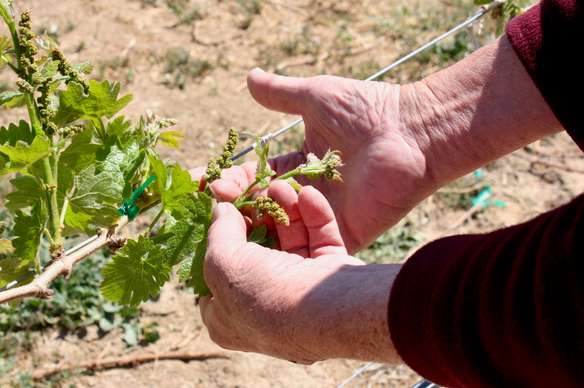 Noting how a particular flavor profile is closer to a more traditional style of winemaking may get readers to focus on a feature they otherwise would have missed. Knowledge and perceptiveness are intimately related in wine criticism and appreciation. Being articulate, knowledgeable and perceptive are all about getting the reader to become more aware of features of the wine she might not have been aware of had she not been acquainted with the critic’s work. But getting the reader to appropriately respond in a way she is unlikely to without the criticism is also part of the job of the critic. And that means she must be a good judge of the kinds of appreciative responses that one can appropriately have to a wine, whether they be approving or disapproving. (1) A good critic must be able to have a particular response herself, especially if it is a response an ordinary taster would not typically have. A critic may be particularly impressed by a feature of a wine and find it deeply moving, a response that is unlikely to be available to someone less aware of the range of appreciative responses that a wine makes available and their significance. For instance, a critic with a comprehensive understanding of what a vineyard is capable of may find a particular vintage remarkable (or disappointing), a response unavailable to someone unfamiliar with many vintages from that vineyard. (2) In addition, a good critic must be good at thinking of appropriate responses, even if she doesn’t have those responses herself. Critics must taste wines in various styles some of which may not be to her liking. Yet, she must be able to judge what an appropriate response would be for someone else who does like that style. This is an especially important ability for a critic to have. Most critics write for a large audience with diverse tastes and preferences. A critic must be able to think of how people with a broad array of preferences will respond to a wine. All of this raises questions about whether we should prefer critics who share our taste preferences. Don’t we learn more from critics whose range of responses fall well outside our own? Below are the other posts in this series. The primary purpose of wine criticism is to aid in appreciation. Thus, to provide an account of how wine criticism performs that function I provide an account of wine appreciation. and (2) Responding appropriately to the wine. (See this post and this post for more details on appropriate response). Thus the job of a wine critic is to help readers appreciate a wine by communicating the properties and appropriate responses to those properties that a wine makes available, as well as reasons for why those responses are appropriate. In this series of posts I’ve been arguing that the primary purpose of wine criticism is to aid in appreciation. Thus, to provide an account of how wine criticism performs that function we need an account of wine appreciation. Given this account of appreciation, we can now say what wine criticism is. One necessary condition of wine criticism is that the critic must have tasted the wine. Regardless of how much a critic may know about the wine, readers have a legitimate expectation that the critic has tasted the wine and developed her view of the wine based on that tasting. The second condition of wine criticism is that the critic seek to communicate the properties and appropriate responses to those properties that a wine makes available, as well as reasons for why those responses are appropriate. The critic’s aim is not just to describe the wine but to enable the reader to understand that these properties are worthy of their attention and invite a response, whether positive or negative. 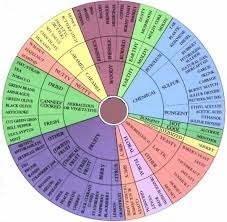 The critic is responding to what is good or bad in a wine and is reporting that the wine moves her in some way and is letting the reader know how she is moved and to what degree, often by interpreting or elucidating features of the wine. Thus, the critic doesn’t simply inform us about facts but about facts that matter and explaining why they matter. For instance, making readers aware that a winery ages in amphora might make the wine’s minerality more evident and important or highlighting the herbal notes in a Syrah may get drinkers to recognize the wine’s complexity or relationship to other wines. As Terry Theise writes in his recent book What Makes a Wine Worth Drinking,”If a wine doesn’t cause us to notice it why are we drinking it?” The critic must convey what’s noticeable about a wine that calls us to respond to it. Thus, the wine critic’s job is to make readers aware of a wine’s features, communicate the kinds of responses available because of those features, and what the reasons are for those responses. 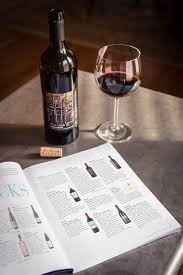 A critic could make readers aware of a wine’s features but fail to get them to respond appropriately because having the appropriate response is often up to the reader. 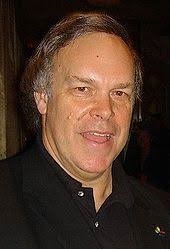 The critic’s job is to explain what responses are available. Because the critic’s job is to report what responses are available including her own response, there is an inherent subjectivity involved in wine criticism. The ultimate goal of the critic is not objectivity but to enable a reader’s responsiveness by using the critic’s own response as a reference point. To what degree do wine critics influence wine quality? This is a complicated question but in my 3 Quarks essay this month I begin to try answer it by assessing the influence of Robert Parker. He rousted wine quality from its dogmatic slumber but at what cost? Last week I argued that one necessary condition of appreciating a wine is being aware of a wine’s properties by tasting it or, given proper training and experience, accurately imagining it based on reliable perceptions of a component or stage of the wine. However perceiving the properties of a wine via reliable perceptual mechanisms is not sufficient for appreciation. One can taste a wine and note its properties without appreciating it. Thus, in this post I want to argue that a second necessary condition of appreciating a wine involves responding appropriately to it. 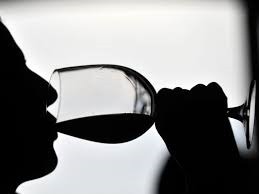 One example of perceiving the properties of a wine without appreciating it would be a blind taster performing an analytic tasting by identifying aroma notes or structural components. This, of course, is a useful task in evaluating a wine, but it falls short of appreciation to the extent one doesn’t react to the properties identified. For example, I can note the presence of cassis and vanilla on the nose without responding to them. However, if I go beyond noting their presence and highlight the prominence of cassis or the integration of the oak-derived vanilla aromas, then I’m responding to these properties in an appropriate way. Thus, by “responding” I mean assigning some sort of noteworthiness, meaning or significance to the properties perceived. Appreciation requires that kind of response. However, appreciation does not require responding with approval. Neither does it entail a pleasurable response. Finding the vanilla cloying and excessive is a form of appreciation because I’m not merely tasting the property but responding to it by treating it as noteworthy. This distinction between identifying features of a wine and responding to them will be important in my discussion of the aims of wine criticism. Since, on my view, the purpose of criticism is to aid appreciation, a good critic must not only identify properties of the wine but react to them in an appropriate way. What then do I mean by “appropriate response”? There are at least 4 types of appropriate responses one can have to a wine. With regard to wine, the most common is a perceptual response—appreciating the silkiness of the tannins or the clarity of the aroma notes, for instance. But often our response is cognitive. For example, recognizing that an aroma profile is typical of a region or a distinctive expression of a varietal. That kind of response involves knowledge or wine regions and or varietals. Imagining how the wine might have been different had other vinification methods been used or coming to believe the wine was from a warm vintage are also cognitive activities. Affective or emotional responses are also appropriate—taking delight in or being disgusted by a wine. And finally, we can have motivational responses—being fascinated, charmed or repulsed, or craving a wine. Some responses to wine involve a complex mix of all four categories. Recognizing that a wine is brooding or expresses joy, is comforting or tense, requires perceptual competence, imaginative comparisons between properties of the wine and emotional states, felt responses to the expressive properties of a wine, and sustained interest in the wine. One doesn’t have to have all these responses to appreciate a wine, but having them will increase your appreciation. There is more to be said about what I mean by “appropriate responses” which I will address in the next post in this series. Click on this link for post 1 and this link for post 2 in this series. The answer, to listen to the surveys and the polls, is yes. One recent study found that just nine percent of wine drinkers relied on critics, while almost half of those surveyed said wine descriptions were pompous. This is far from the only such study – wine drinkers have rated wine criticism this poorly for years. Increasingly, it seems, they could care less about what people like the Wine Curmudgeon have to say. His argument is that “winespeak”, with its fruit basket descriptors and numerical scores, is unintelligible to ordinary wine drinkers who are clamoring for a different, more informative kind of review. 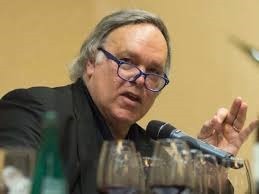 But, he argues, there is no incentive for wine writers to change since the delusional wine industry is happy with the system that uses critics’ inflated, meaningless, numerical scores to market their wines. Tom Wark pushed back against Jeff’s dismay by pointing out that wine reviews are not really for the ordinary wine drinker but are aimed at connoisseurs who are willing to spend considerably more for a bottle and want some assurance that the wine is of quality before buying. So, Jeff, wine criticism isn’t dead. However, the audience of drinkers you write for, those who buy less expensive wines, don’t care much about scores. They care that the wine is in liquid form, a little sweet, isn’t too rough around the edges, has a tasty character and possesses alcohol. I don’t need a Wine Advocate handbook by my side to find one of those when I’m staring at an end stack of wine at a Lucky Supermarket. Both Jeff and Tom make compelling points but I have a somewhat different take on this issue. 1. “Winespeak” is unintelligible to ordinary wine consumers because they lack the training and/or experience to grasp it. 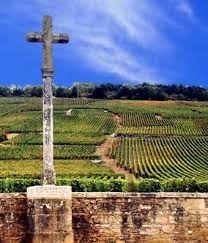 Wine is a vague object and difficult to describe and it takes years of disciplined study before it makes sense. No doubt “winespeak” sounds pompous to those who haven’t studied it. So does “physics speak” or discussions of formalist art criticism. These are technical vocabularies for specialists. (Which does not of course mean that their aren’t some really poorly conceived reviews out there.) I know this sounds “elitist” but that’s the way it is. We should be careful about treating wine as if it were orange juice. There is therefore an important question about how to talk to novices so they learn and are not put off. But that problem exists with all technical vocabularies and is not unique to wine. 2. “Winespeak” when used to describe most inexpensive, everyday wines is fundamentally deceptive. Most of these wines do not deserve the florid descriptions they are often saddled with. (There are exceptions to this, which is why its worthwhile reviewing these wines) And on a related note there is nothing more inaccurate than a winery’s description of their wines which they put on the label. That is marketing, not criticism. 4. Jeff is right that a list of fruit aromas tells a reader nothing about whether they will like a wine or not. Fruit notes are part of a description of the features of a wine, not an assessment of its aesthetic value. Reviews that don’t address aesthetic value are useless. Jeff’s reviews address aesthetic value because he focuses on whether the wine is authentic and typical of its region or varietal. 5. Jeff is also right that the wine business is cynical about this issue. They view wine writers as extensions of their marketing departments and care little for accurate descriptions of their wines. But it the end I would want to question the underlying assumption of this whole debate. I doubt that the constitutive aim of wine criticism is helping people to make purchasing decisions. After all a significant number of wine reviews are written for wines that are unavailable for purchase. I devoted a good deal of attention to this issue in a recent Three Quarks column. Essentially my argument is that wine criticism serves a larger function for the wine community. We need to know the meaning and significance of a wine, the kinds of experiences we can expect from drinking it and whether it represents a new trend, a typical flavor profile or a departure from accepted norms. The wine community is an aesthetic community that can sustain itself only if we can communicate about the shared object of our passion. It’s only through such communication that norms and standards are set. The wine review is the main vehicle for that. If the wine review is dead, so is the wine community. My Three Quarks column this month is, for the most part, a compilation of recent posts published here on Edible Arts on the aims of wine criticism. But I added an important new dimension to the argument for the Three Quarks column. In earlier posts I argued that the purpose of wine criticism is appreciation, not necessarily evaluation or to guide purchasing decisions. In appreciation we savor what is there in the wine and seek to discover the various kinds of experiences available to someone who is fully attuned to it. This includes knowing the meaning and significance of the wine as well as savoring its sensory properties. Appreciation is open to all the properties of an object even if they have little to do with quality. The goal of the wine critic then is to aid in the appreciation of a wine by revealing what is there to be appreciated. But wine reviews and other sorts of wine writing are often read by people who don’t have the wine in front of them, may not be able to acquire it, and thus will not be in a position to appreciate it. Why would wine writing and criticism be important for them? Here is the argument I added to what had been previously published. The fact that critics disagree about wine is a feature not a bug. Only a collection of critics with different tastes and preferences will be likely to discover the full range of wines that exhibit interesting differences. The day critics all agree is the day wine loses much of its appeal. If you’ve been reading this blog for some time you probably know I get a case of the furies when someone dismisses wine tasting as subjective. Yes there are aspects of subjectivity when tasting wine, but there are objective parameters that frame the practice of wine tasting when conducted by people with the relevant experience and training. The claim that it is all subjective is lazy and ill-informed. So I was happy to see Master Sommelier Tim Gaiser weigh in on this topic with a particularly helpful blog post detailing all the dimensions of professional wine tasting and noting where judgments can be expected to be objective. He also makes the important point that only at the extremes can we say a judgment is wholly subjective or wholly objective. Subjectivity and objectivity are poles delineating a continuum and many judgments will be a mixture of subjectivity and objectivity depending upon where on that continuum a particular judgment lies. Only 19% of the relevant criteria are wholly subjective. I strongly encourage anyone unsure about this topic to read Tim’s post. Our response to fruit qualities in wine is always dependent on our unique life memories of said aromas and flavors. Hence, my “kiwi” call on a particular white wine could be your Bartlett pear, which might be someone else’s Fuji apple. This is true as far as it goes. But if Tim identifies “kiwi” and I identify “pear” is there any reason to think both of our experiences are unreliable, i.e. not connected to the object in an appropriate way? It is unlikely that either of us are dreaming or hallucinating. Such a disagreement is compatible with us both having a reliable experience of the wine; our disagreement may be about which word to attach to the experience. By contrast if he identifies “kiwi” and I say “no that’s smoke” then we have reason to think one of us lacks that reliable connection to the object since we are unlikely to be experiencing the same object. The problem arises because wine is a vague object and aromas often lack sufficient clarity and intensity to mark a distinction between similar aromas such as pear and kiwi. Both of us might in fact be correct, not because our responses are subjective, but because the actual aroma is undecidable between pear and kiwi. Such disagreement is not necessarily evidence of the kind of idiosyncratic response that would render the judgment entirely personal or a product of “individual thought”, which are hallmarks of subjectivity as defined above. To put the put differently, with regard to most aromas there will be a range of descriptors that supply evidence of being reliably connected to the object because the distinctions between aromas are gradients expressing nuances that are objectively a quality of the wine. When we toss the words “subjective” and “objective” around we often forget that a purely subjective experience would be an hallucination, dream or an imagining, unrelated to the actual object being perceived. Such a disconnection to reality might characterize novice tasters who lack the training and expertise for wine tasting. It is unlikely to be true of most of the judgments of trained professionals. There is of course reason to think some of our judgments really do lack this reliable connection to the object. Many of us may have specific anosmias—particular aromas we can’t detect. And all of us differ in the biologically-influenced thresholds above which we can be affected by the chemical compounds that cause aromas. When our biology limits our capacity to detect specific aromas then that reliable connection to reality is compromised. This, along with the inherent subjectivity of attaching words to our perceptions, means that the detection of aromas will always be threatened by a degree of subjectivity. 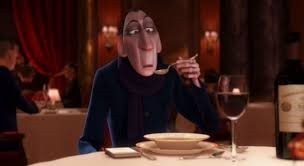 Thus I think it is not quite right to place the detection of fruit aromas in the subjective category; it belongs along the objective-subjective continuum as long as there is no reason to think the connection to reality is severed. It’s probably worth a reminder that preferences are a whole other story—they are largely subjective and that is a good thing. Last week I argued that the purpose of wine criticism is not primarily to aid purchasing decisions, but I left undecided what the primary purpose is. In this post I argue that wine criticism is primarily about appreciation. On the way to that conclusion I consider the most prominent views of the aims of art criticism because they are directly applicable to wine. One of the more plausible views of the purpose of art criticism is that art critics are trying to shape our perceptions–how we view a painting or hear a musical work. Philosopher Arnold Isenberg articulated the canonical defense of this view in the mid-20th Century, arguing that when a critic praises the figures in El Greco’s The Burial of Count Orgaz for their “wavelike contour”, that description is causing the reader to perceive something in the painting that the critic admires. The accuracy of the description is not of primary concern; what matters is that the reader’s perceptions have been properly directed toward the feature the critic wants her readers to experience. This view of art criticism can be directly applied to wine reviews. When a critic favorably evaluates a wine because of its “richly evocative aromas of tar and dried roses which is typical of the best wines of this type”, she is directing our attention to those features of the wine that she wants us to experience. We might not perceive precisely the same flavors and aromas as the critic. But nevertheless, when the description succeeds, we perceive what she considers essential in appreciating the wine. The aim is not a true description so much as an attempt to properly direct attention. This seems to me to be on the right track. Given that wine is a vague object, one of the virtues of communicating about wine is that other people may perceive something that I might miss. This is certainly the case when a critic has vast experience tasting wines of the relevant type and a finely honed capacity for discernment. This capacity to direct attention is one of the virtues of successful wine reviews. But the problem with this as a full account of the purpose of wine reviews is that it applies only to people currently experiencing the wine or who can remember clearly its flavor profile. As I noted last week, many wine reviews are of wines we can never acquire, and Isenberg’s theory would not apply at all in these cases. Isenberg writes that “reading criticism, otherwise than in the presence, or with direct recollection, of the objects discussed is a blank and senseless employment”. It is not obvious that that is true. Reading descriptions of old vintages of Bordeaux premier crus is hardly “blank and senseless” however much it may pale in comparison to actually tasting them. More recently Noel Carroll in his book On Criticism asserts that “evaluation is an essential feature of criticism. If a piece of discourse lacks explicit or implicit evaluation, it would not qualify as criticism”. Furthermore, he claims, critics must supply good reasons for their evaluations, not merely a verdict. It is the evaluation that distinguishes criticism from other forms of writing that employ description or analysis. I am perhaps displaying a philosophical prejudice in asserting that wine reviews that give a verdict without an explanation are less than useless. Be that as it may, I agree with Carroll that a proper review of anything ought to supply reasons. But Carroll’s view doesn’t address the question of what the purpose of the evaluation is. If it isn’t to influence a purchase what is its aim? Why are we concerned with the critics reasons? Furthermore, I have reservations about the claim that criticism must involve evaluation. Wine writers often describe a positive aesthetic experience without objectively assessing the wine or supplying an ultimate verdict. This is because the primary aim of wine criticism is appreciation not evaluation. How do we mark the difference between appreciation and evaluation? It seems to me they have different goals. The goal of appreciation is to savor what is there in the object and to discover the various kinds of experiences available to someone who is fully open to and attuned to the object. These experiences would include knowing the meaning and significance of the object as well as savoring its sensory properties. By contrast, the goal of evaluation is to render a verdict and assign a ranking and thus must focus on properties of a work that can be specified and articulated as markers of quality. Appreciation is open to all the properties of an object even if they have little to do with quality. 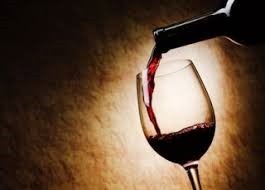 The goal of the wine critic then is to aid in the appreciation of a wine by revealing what is there to be appreciated. This might involve pointing out those properties that figure in an evaluation. Thus wine criticism often includes giving advice about purchases and investments. It also includes directing a reader’s attention to those properties that are there to be savored when the wine is in front of her. Thus it incorporates Isenberg’s point about the importance of aiding perception. But wine criticism has a larger goal—to provide an account of the meaning and significance of a wine, its place in the wine community, and the kinds of experiences one can have with it. For the wine community knowing the meaning and significance of a wine, the kinds of experiences available when drinking it, and especially whether it represents a new trend or flavor experience is important information independently of one’s ability to experience the wine. It is all part of the main purpose of wine criticism which is to aid appreciation. Here is a useful summary of some of this research. For a more comprehensive treatment see The Perfect Meal: The Multisensory Experience of Food and Dining by Spence and Piqueras-Fiszman. This research is troubling for anyone who depends on the objectivity of their sensory experience—such as wine and food critics. If our taste perceptions are so powerfully influenced by our environment how are we to give objective evaluations of wine and food? Wine and food tasting is already challenging enough because flavors and flavor memories often lack definition, we lack the semantic categories that would help with identification and recall, and we all have different thresholds for the detection of various chemical substances that trigger flavor sensations. The important question that does not receive enough attention from researchers is to what degree we can control these influences if we are aware of them. If you know loud music influences your perception of sweetness, can you control the effect by refocusing your attention or tuning out the music? Are experienced critics less influenced by these factors than novices? Rational, self-control is sometimes effective in controlling emotions. It would be nice to know if rational, self control extends to perceptions as well.